Flexibility – the ability to create own user interfaces, transparent and suited to specific machine applications. There is a special visual editor where you can create the Mach3 interface design from the beginning or use already existing project. On the internet, there are many quick solutions. Ability to self-extend the functionality of the program through macros, written in simple and known by many people – VisualBasic®. 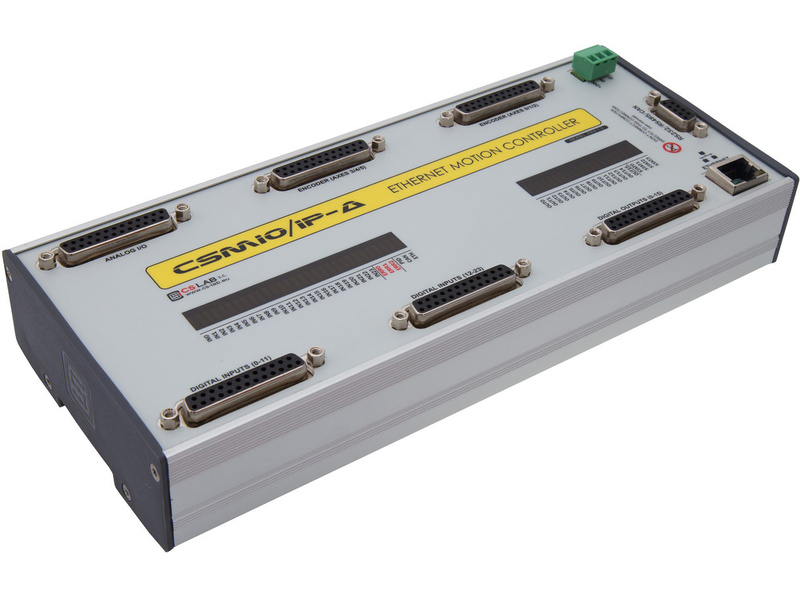 It allows you to implement a variety of measurement probes, automatic tool length measurement, automatic storage of tools in many variants, etc. Plug-ins support, which further extends functions of the software and allows for cooperation with external motion controllers. 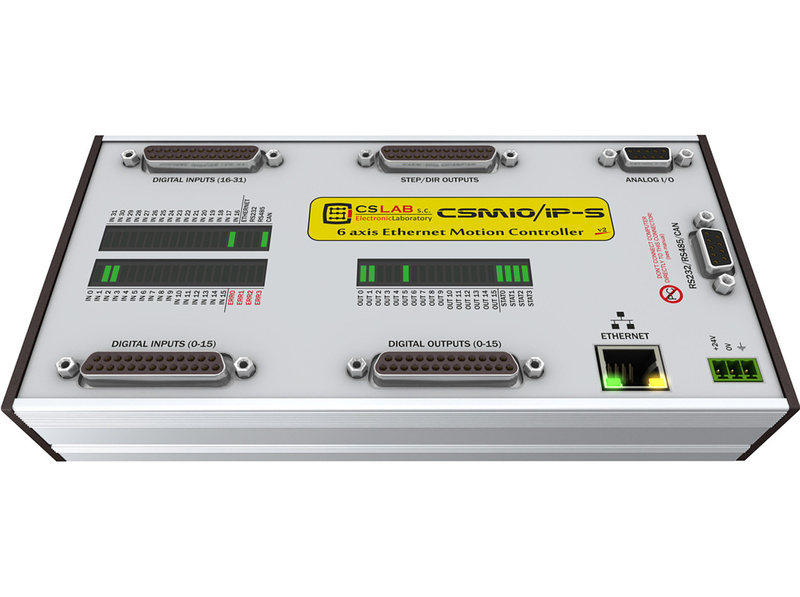 Connection with CSMIO/IP-S controller is provided by this plug-in by CS-Lab company. Easy to use – those, who are already little familiar with CNC machines can learn all the general functions and rules of using the Mach3 program – within one day. The configuration of the key parameters is transparent and intuitive so that they can be quickly adjusted to the requirements of a specific machine. Dynamic analysis of the trajectory – CNC program is analyzed in advance, so it allows for optimal adjustment of motion speed at every point of the path. Thus, the program is done quickly, but with the full smoothness of the motion. To download Mach3 software and manuals go to the Download section (above). To have a full version you have to buy a Mach3 license. 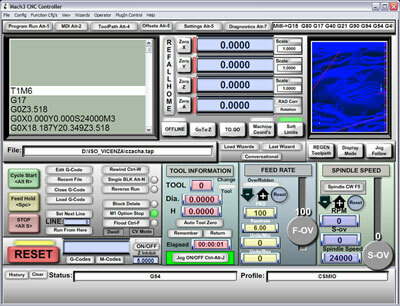 CS-Lab Company is an authorized distributor of Mach3 software. After we receive your payment, you will get your license file attached to an e-mail message from CS-Lab. When placing your order, please enter information for license personalization (company name or your first and last name) into “COMMENTS” area at the bottom of an online store form. Please note that the Mach3 program is only to operate the machine – it is not possible to design, draw, etc. Indeed, some functions allow for generating the CNC code for simple operations, but it is better to have CAM types program, like e.g., ArtCam, MasterCam, etc.